OA na kung OA, pero Sophia's clothes for our provincial tour (artista lang?) are already packed. I'm so not prepared. Well, I always pack hers first whenever we travel. She has more needs. I think I can do with a few clothes as long as I will bring the basics. Sophia was a toddling 15 months old when she first rode the plane at ang exaj ng size ng luggage namin. 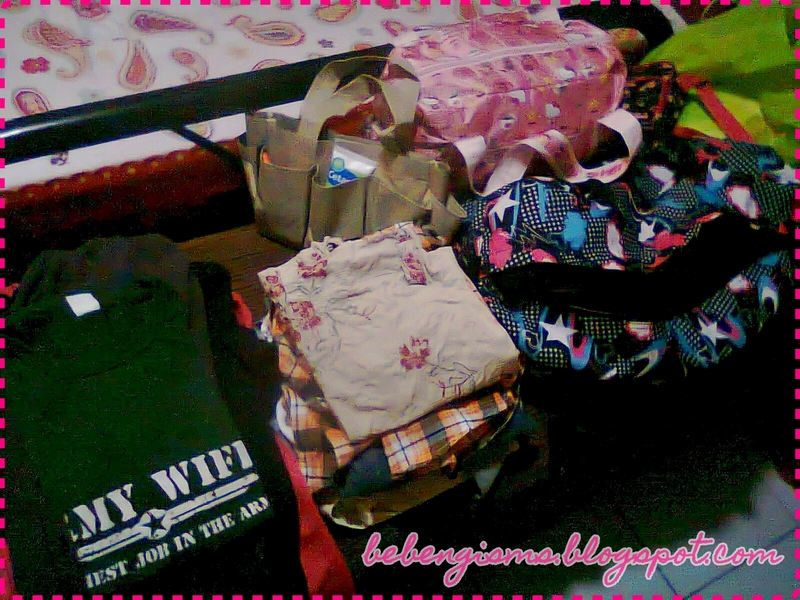 I brought a lot of clothes, akala mo sa Europe ang destination, eh Surigao del Sur lang naman. Ending, we went back home with half of the clothes unused. Now I'm wiser. Since it's really not a fancy vacation, I think I can wash the dirty & used clothes if need be. The huge pink luggage we used 3 years ago atop our cabinet. We won't be riding the bus since my kumpare (kumare's husband) will pick up Bebeng the operada & Little Bebeng at home. It gave me an instant thought na 'wag magpigil sa dadalhing gamit bilang may karu naman nga. 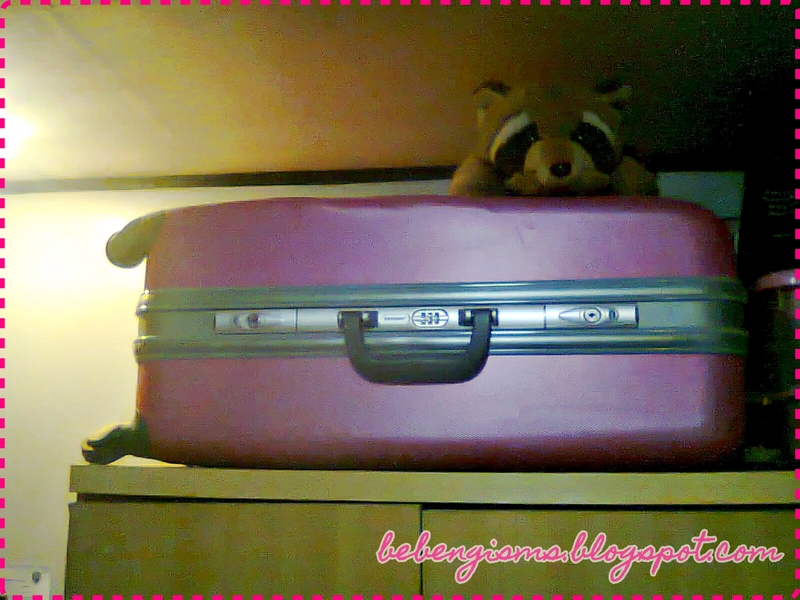 But of course, baka maloka naman my Rhambo when he sees us with all our things. Baka mag-suggest na 6x6 army truck na ang ipanghatid sa amin pabalik dito. Kaloka naman sa EDSA yun. I remembered nung jowa-jowaan ko pa lang siya nung 2007, we went to Baguio for the Alumni Homecoming of PMA. We only stayed there for 3 days and 2 nights but my packed clothes and other thingmajigs were elope-worthy. Umaasa talaga ako nun na itatanan na niya ako. Hihi. Nevertheless, I still consider myself as a master packer. Kahit karayom pa yung inempake ko, alam ko kung saan hahanapin. And I bring those that I think would be helpful during the travel, especially traveling with a kid. I don't want my little ball of energy pestering me to go down the car because she's bored; so I will bring her favorite toys and books. I also never leave the house without my phone battery fully-charged. I have stored video clips of Peppa Pig, Hello Kitty and Barbie to keep her busy. We'll be traveling in the evening so I presume na boborlog ang bagets, kaya medyo mas at ease ako ngayon. I already had her Hello Kitty pillow washed kasi we will also bring it. I'm sure my army baby won't be a travel bum. She had endured an almost 12-hour bus ride from Surigao del Sur to CDO when she was 15 months old, eto pa kayang mas malapit and she's now four? She's also not the type who gets car sick. Ako yun! That's why I always bring Katinko or Efficascent Oil whenever I travel far. Sniff-sniff ko lang when I get dizzy. And Polo mints! Eto pa, I don't forget to bring nail cutter and tweezers! Hello, tumtutubo ang kuko at buhok ano. Buti na lang uso na ang bags with a lot of compartments, kasi bet ko talaga ang magdala ng kung anik-anik. I don't have an outfit for the bukid. Chos. naloka ako.. parang nawala ang malanobela kong comment.. or waiting for approval sya? ayan, nde na ako sanay mag bloglaluuuu! Your blog is so fun and I love the linggo! Your blog made me smile! I happened to stumbled on your blog and I really enjoyed reading it. Your posts gave me a glimpse of a soldier's wife..
Rayala Dialogues: Mr. & Mrs.
Thoughtful Tuesday: To Keep or Not To Keep?